JOHANNESBURG. — History will be made this week, when the first participant in a large-scale HIV vaccine trial receives a shot of the vaccine, designed to prevent a strain of HIV prevalent in Southern Africa. Although vaccines are not 100 percent effective in every child or adult, they are the best defence against the epidemics which kill or permanently disable millions of people. And, since vaccinations are deemed among the safest forms of treatment worldwide, they far outweigh the risk of side effects. The HIV vaccine clinical trial, called the HVTN 702, involves more than 5 000 HIV-negative men and women across South Africa. 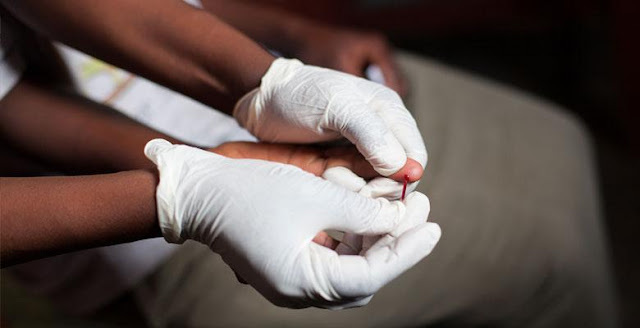 An HIV-negative woman will receive her first dose at a Soweto site on Thursday. Professor Glenda Gray, president of the SA Medical Research Council, said: “If we can show that this vaccine is at least 50 percent efficacious, it could lead to the first licensed preventive HIV vaccine in the world. Describing this as “a momentous occasion”, Gray said it would mark the start of a long, interesting journey that might culminate in the licensing of a vaccine which could contribute to ending the HIV epidemic. She said everybody working on the trial was excited. “We are looking forward to beginning this journey. We have been doing dry runs to ensure that when we begin, everything goes smoothly. We have even set a time frame for each participant — they should spend 90 minutes on each session at the sites,” she said. It’s been a long time coming for the HVTN 702 trial. Its origins date back to September 2009, when the US Army announced results of the landmark vaccine-efficacy Thai Trial, involving more than 16 000 adults. The trial showed that the RV144 vaccine could reduce the rate of HIV infection among study participants in Thailand by 31% over three and a half years. These results were promising, but not effective enough to move the products to licensure and public distribution. This prompted researchers to conduct further trials. The HIV Vaccine Trials Network (HVTN) — the world’s largest publicly funded international collaboration focused on developing vaccines to prevent HIV — partnered with South African research sites to launch a small-scale follow-up study, called HVTN 100, in 2015. The trial, conducted exclusively in South Africa, sought to establish whether a modified version of the RV144 vaccine could produce a more powerful and durable immune response against HIV. The vaccine was modified to reflect the particular HIV sub-type (clade C) that predominates in southern Africa. The results of HVTN 100 showed a similar immune response — in some cases, even higher than that seen in participants from Thailand. It led to the next follow-up trial — with HVTN 702 — which begins this week. Gray, who is an Aids activist, said local and international HIV researchers were hoping for the best results this time around. The HVTN 702 trial will enrol 5 400 HIV-negative men and women at 15 research sites across South Africa, of which three will be in Gauteng. Participants will receive five injections over the course of 20 months and will be followed up for three more years to establish whether the vaccine elicits a sustained protective effect. If the HVTN 702 vaccine shows positive results that lead to its being licensed by the Medicines Control Council, it would mean that thousands of new infections could be averted in future. It is estimated by UNAIDS — the leading advocate for global action against HIV/Aids — that 330 000 new infections occurred in South Africa last year, mainly in girls and women. While the search for an HIV vaccine continues, several other studies aimed at preventing HIV will be conducted on the sidelines. One will involve the cloning of broadly neutralising antibodies (bNAbs), which can neutralise a wide range of HIV strains. Antibodies are natural proteins in the body which fight diseases. They are able to attach to the outside of bacteria and viruses to block them from causing an infection. The Antibody Mediated Prevention study is currently under way. It aims to establish whether a bNAb — called VRC01, which is directly infused into the bloodstream of subjects — is effective in preventing HIV acquisition. An obstacle in the field of HIV vaccine development has been the ability of the HI virus to mutate and evade the antibodies that might block it from spreading. The identification of bNAbs in a small group of HIV-positive people has led to flourishing research focused on how to manufacture bNAbs in the laboratory and harness them to prevent infection in HIV-negative individuals. More than 4 200 people will be enrolled in this study. Of them, 1 500 will be sexually active women in sub-Saharan Africa who are at a high risk of acquiring HIV. — News24.